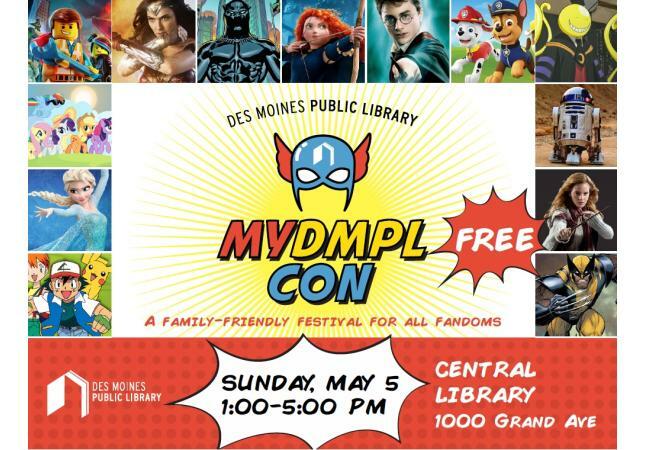 MyDMPL Con is back for a second year. We're making it even bigger and better than last year. 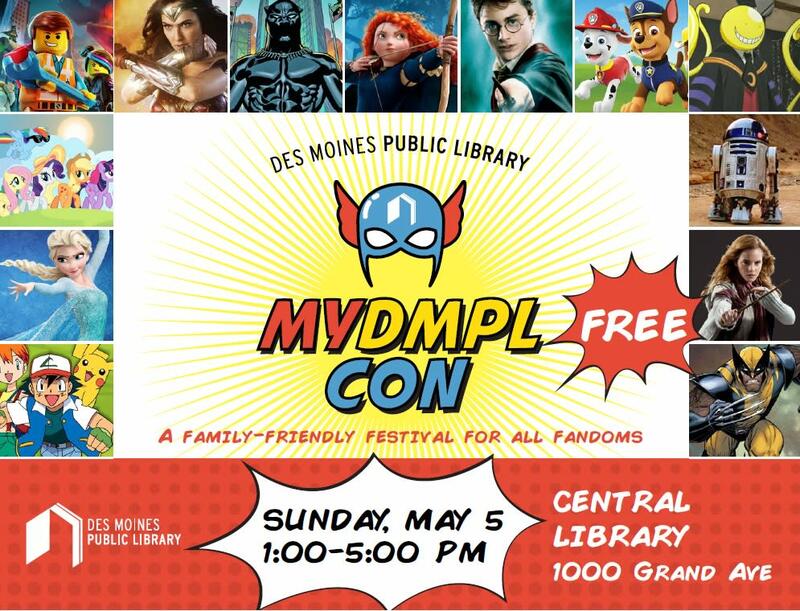 Joining us this year will be Paw Patrol characters Sky and Marshall; Disney princesses; Wonder Woman and the Dark Knight; the Science Center of Iowa; Jester Puppets; luchadores; food trucks; and so much more. It's a family-friendly festival for all fandoms... and it's free!